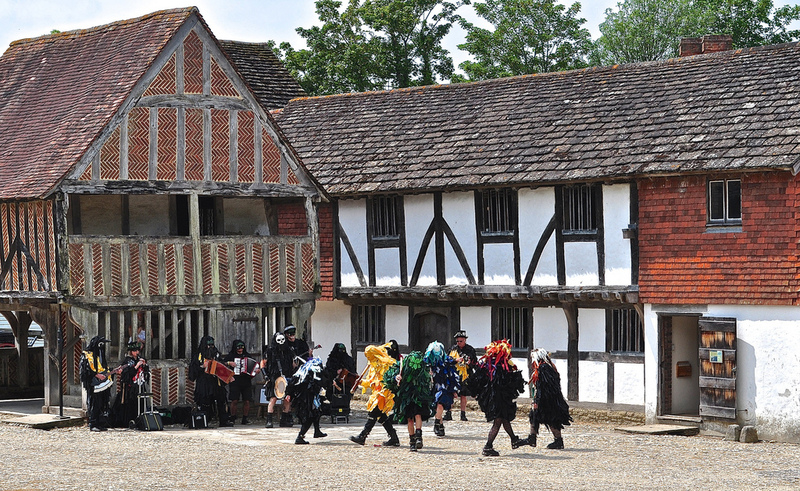 By happy co-incidence, a visit to the Weald & Downland Open Air Museum introduced me to Mythago Morris – Morris Dancers – but not as we know them! 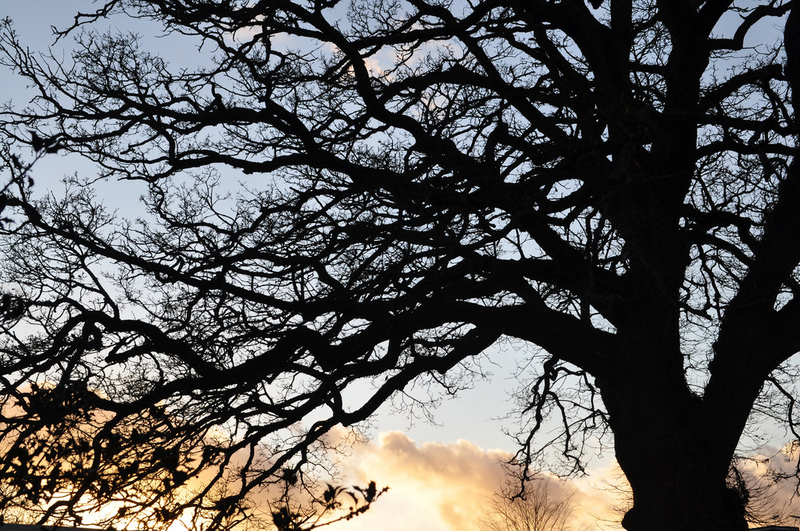 Musicians, story tellers and dancers, this troupe of wandering players are committed to illustrating some of the old English stories through dance, music, verse and an occasional song. 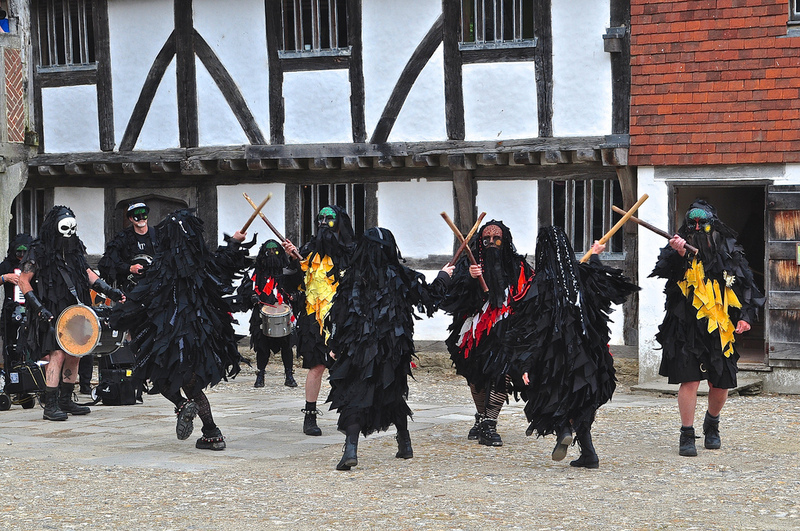 The dances are in the Welsh Border style of Morris dancing and the stories – The Green Man, Herne the Hunter, The kings Men etc, are mainly pre-Christian. Dressed predominantly in black but with vibrant colour making sudden entrances too, the garb is mysterious, mythical and different, very different. 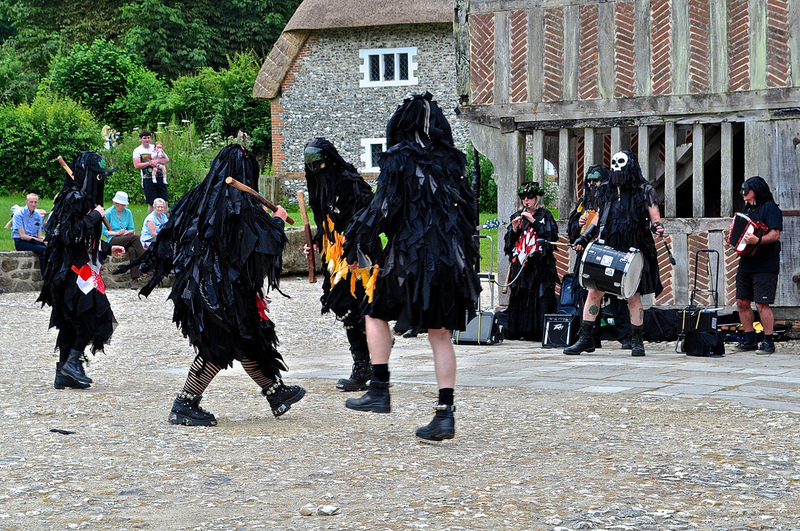 This is Morris Dancing with attitude. I have seen Morris dancing in the past but this troupe take it to a new level – as Johnny Depp might do Morris dancing in fact, rebels with a cause. And that’s certainly OK by me. Catch them if you can – click here for their programme. 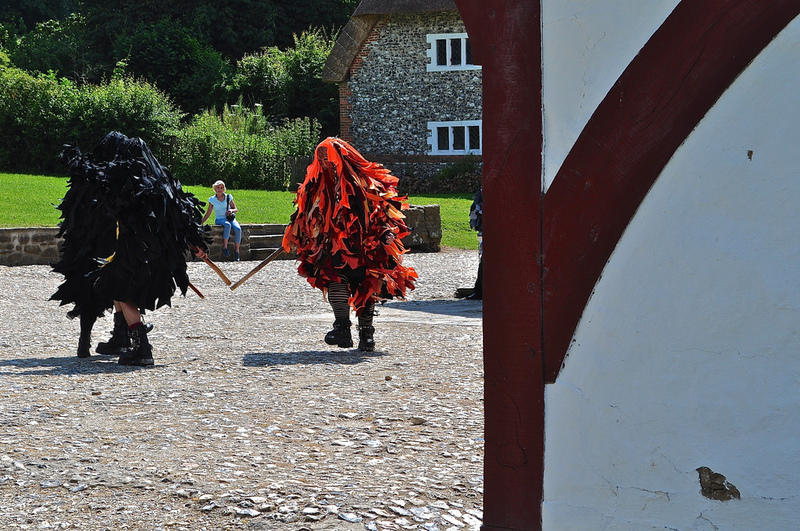 They are on Twitter @Mythago_Morris and on Facebook/Mythago Morris. 😀 I am so glad you liked us!!! 😀 I am so glad you liked it! I’m glad you enjoyed watching us! It’s a lovely setting to dance in. I’ve been reading back through some of your previous posts and greatly enjoying them. I too enjoy/blog about churches and places within the region I’ve enjoyed. It’s good to find some new places in Hampshire to visit as I used to live there many years ago and still go over to visit friends.